The Cost of Hiring in 2015: Every year, companies look to hire. However, many companies do not use a referral program and many companies struggle to hire the right people and hiring efficiently. The average time it takes a company to complete a hiring process is around 95 days or 41 continuous hours, and it costs on average $5,134 per hire but the process itself costs up to $18,195. 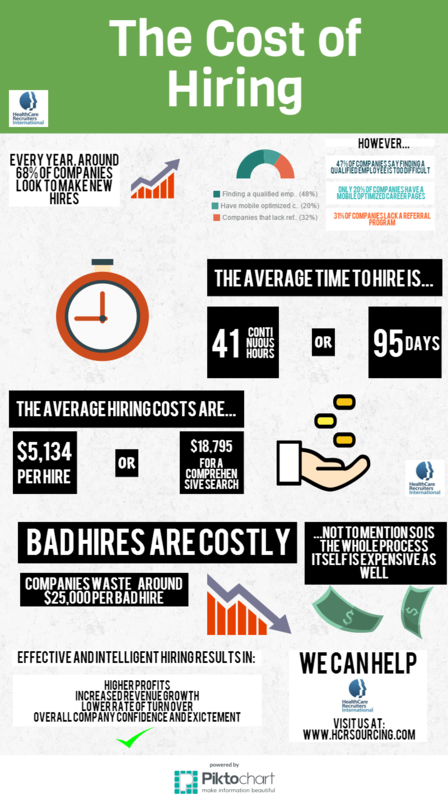 Bad hires, as we can see, are very costly and are desirably avoided. HCR Sourcing can help with that.